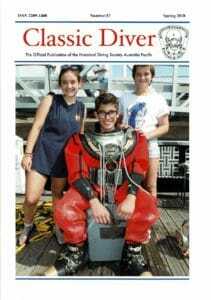 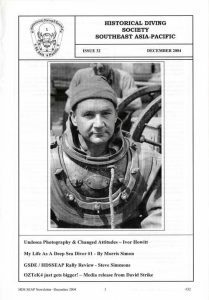 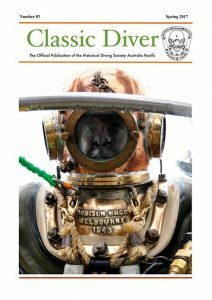 Our journal, Classic Diver, is published four times a year. 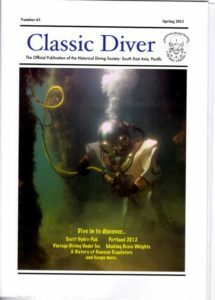 The magazine has been produced for more than 10 years now, since 2006. 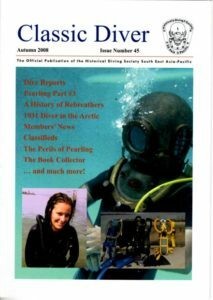 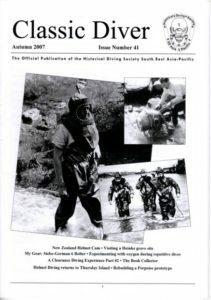 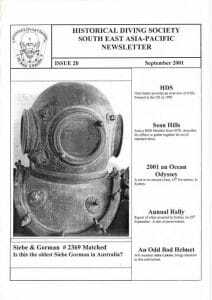 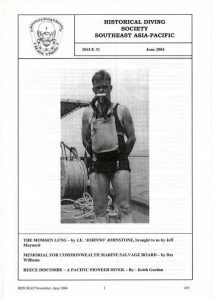 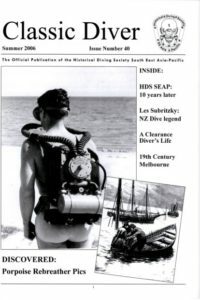 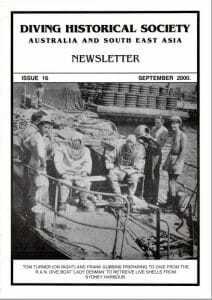 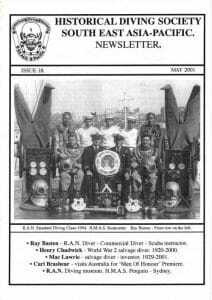 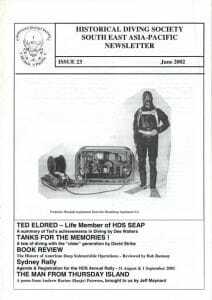 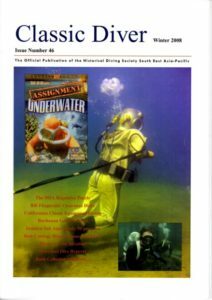 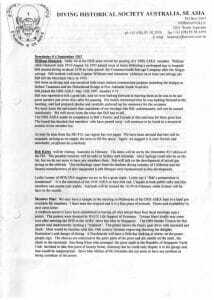 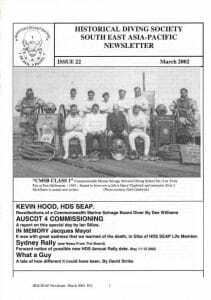 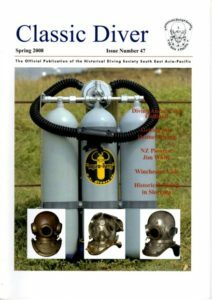 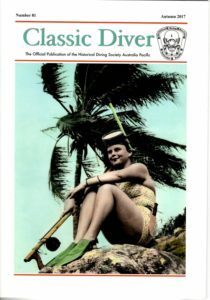 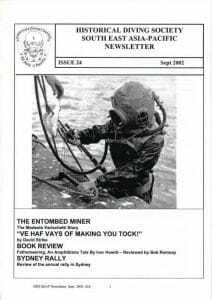 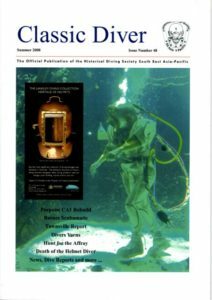 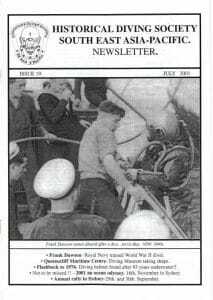 Prior to that our publication was the Historical Diving Society South East Asia Pacific (HDS SEAP) Newsletter. 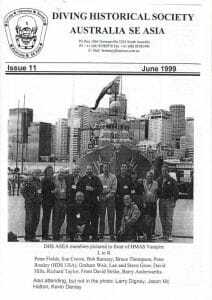 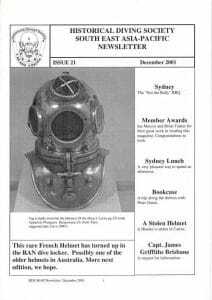 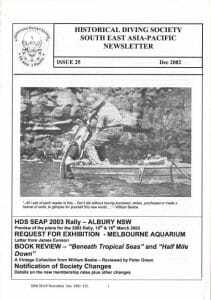 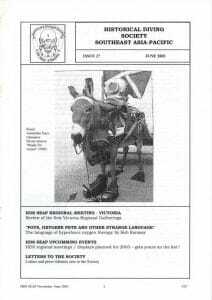 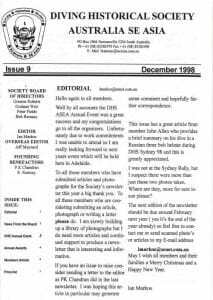 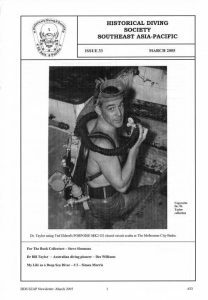 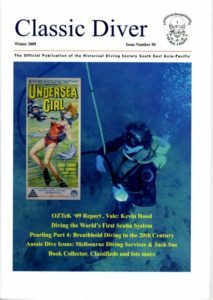 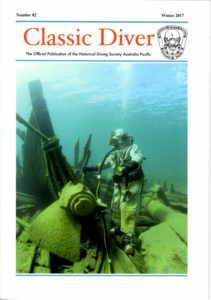 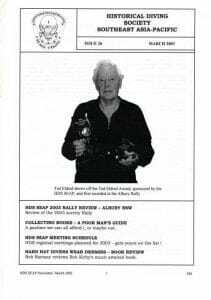 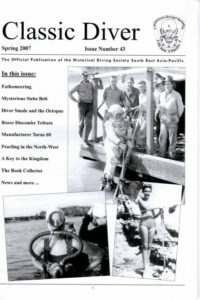 Prior to that it was the Diving Historical Society Australia and South East Asia (DHS ASEA) Newsletter. 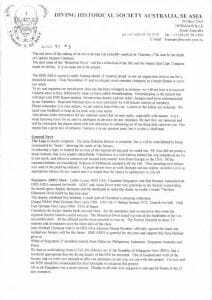 These changes reflect the change in name of our society over the years. 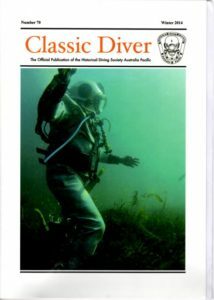 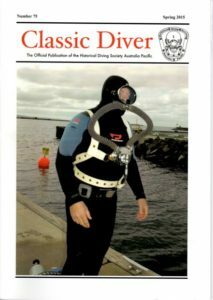 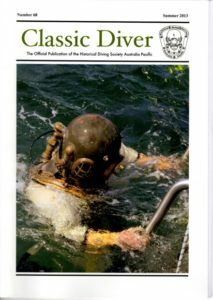 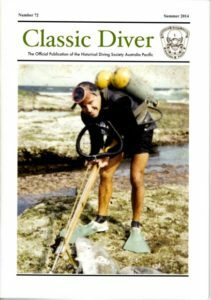 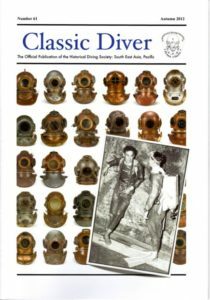 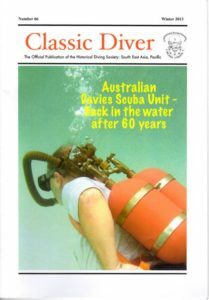 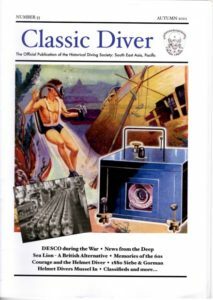 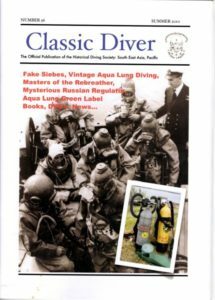 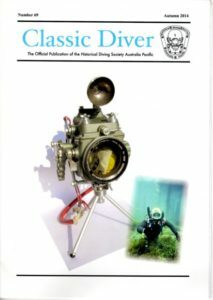 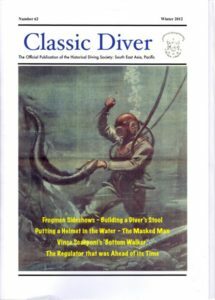 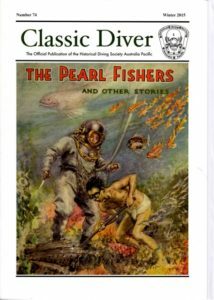 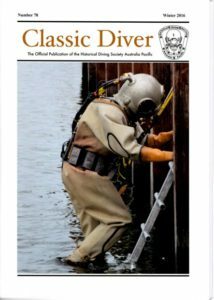 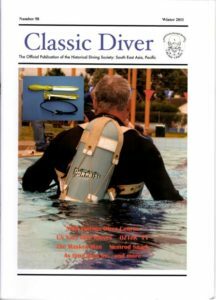 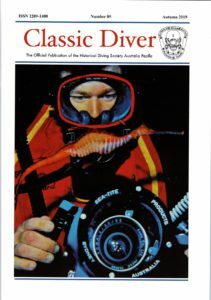 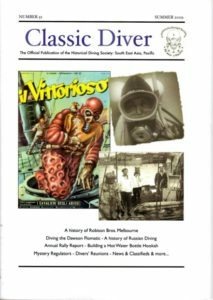 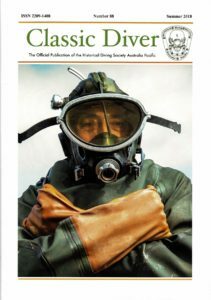 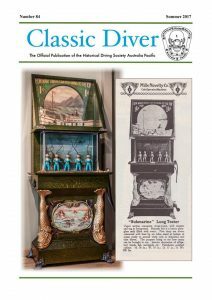 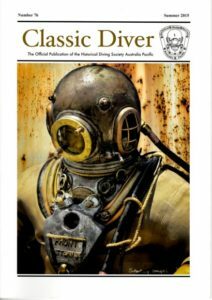 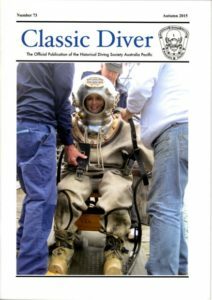 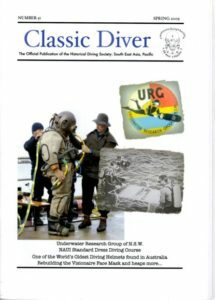 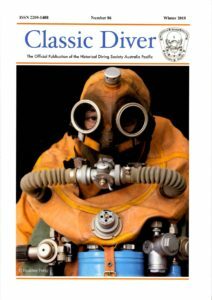 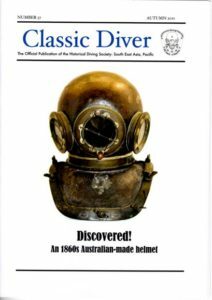 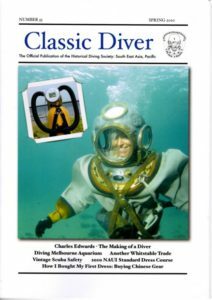 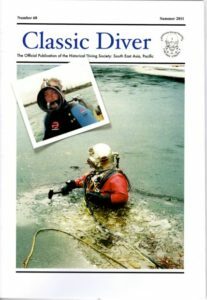 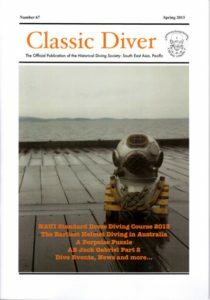 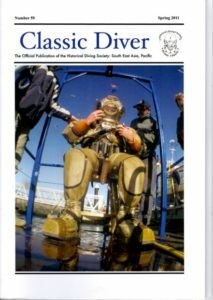 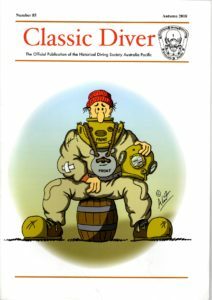 Classic Diver started as a black and white only publication, then had colour covers and finally became a full colour publication. 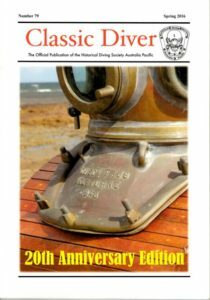 Typically it is around 28 pages per edition. 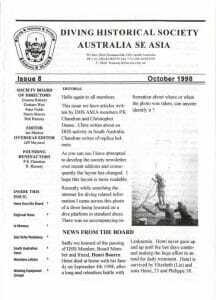 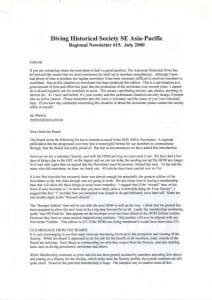 The first DHS ASEA newsletter was a single page of text in the form of a letter. 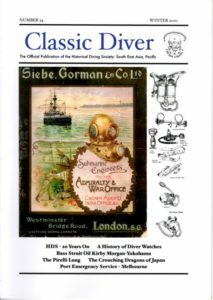 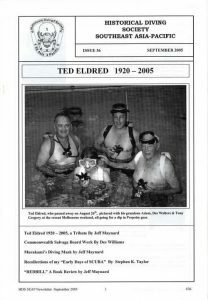 Images were added but it stayed as a black and white publication through the various name changes until it was replaced by Classic Diver. 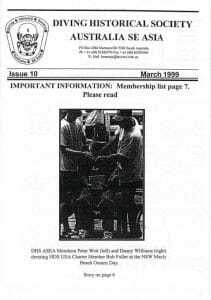 Eventually it grew to a typical 8 page edition, sometimes with inserts for membership renewal, merchandise order forms, book advertisement, etc. 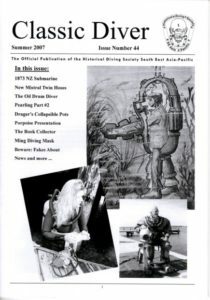 From Issue #2 to Issue #14 the format was an A5 booklet (A4 folded). 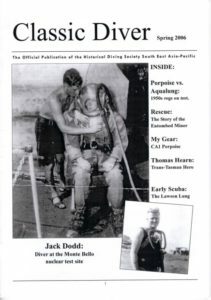 Issue #15 was a couple of A4 pages printed both sides. 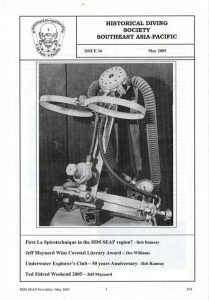 From Issue #16 it became an A4 booklet (A3 folded). 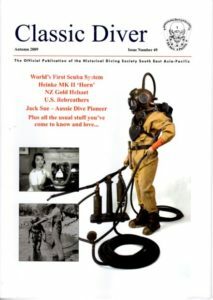 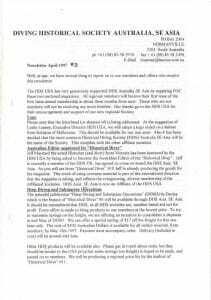 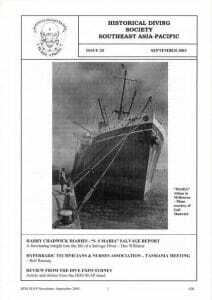 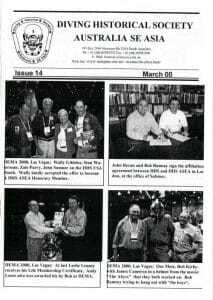 During this time the newsletter was distributed with a copy of the HDS US magazine. 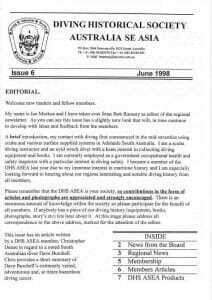 HDS Aus-Pac members contributed stories to the HDS US magazine and Jeff Maynard was the Australian editor for that magazine. 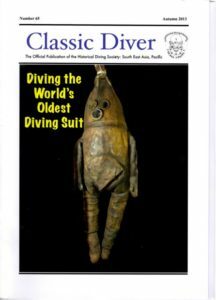 Due to this, the newsletter had much less historical diving content than todays Classic Diver. 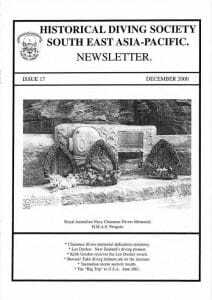 The newsletter was focussed more on local events and news. 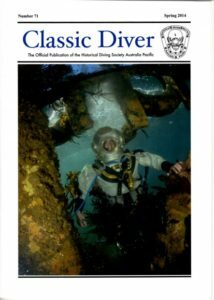 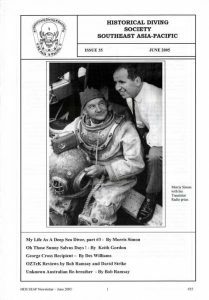 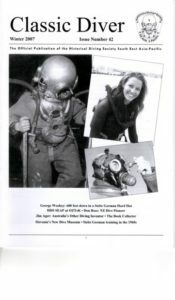 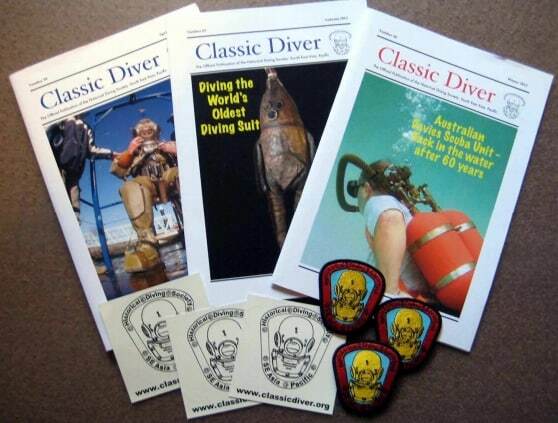 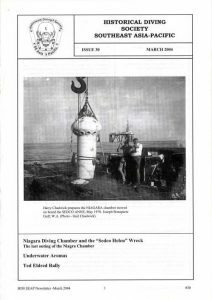 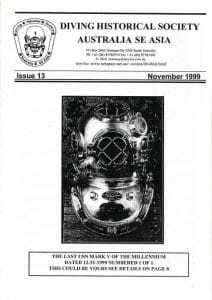 Below we have documented the contents of all editions of Classic Diver and the HDS ASEA newsletters except #1. 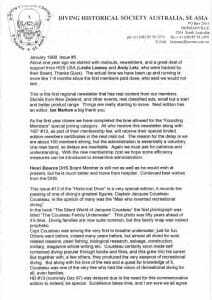 Issue #1 is being researched as it is believed to be a letter which had no number. 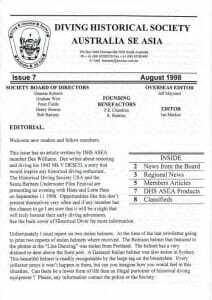 Once we are certain we have the right document we will add this to the contents list. 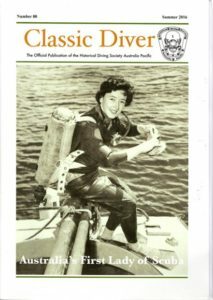 Australia’s First Lady of Scuba? 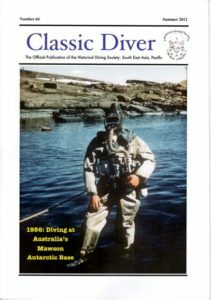 So you want to dive a Mark V? 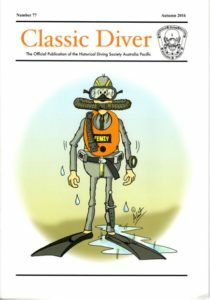 Port Emergency Service – Melb. 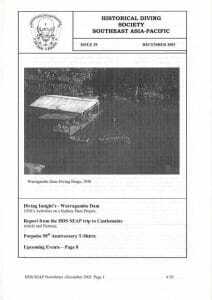 News … events … happenings..